Train’s Towers, Inc. also provides installation and service of various types of standard incandescent, medium, high intensity strobe, and LED obstruction lighting systems. 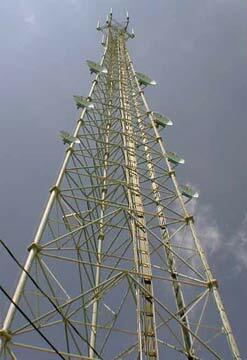 These systems may be utilized for all types of antenna towers, water towers, utility transmission line and cooling towers. In addition Train’s Towers, Inc. provides installation, maintenance, and servicing of grounding and lighting deterrent systems. The latest Motorola R56 standards and specifications are typically used as our guidelines for quality inspection standards. Train’s Towers, Inc. personnel are trained in TDR and FDR transmission line and antenna testing with the Wiltron Site Master and other sweep testing devices. Documentation is provided in chart or report form for reference and analysis. Custom sweep testing and documentation are also available upon request. Our standard inspections for maintenance include: a site visit with climb, visual inspection including foundations, hardware check, inventory, and color photo-documentation reports. These professional reports provided are bound, extensive, and easy to read. All tower site reports and foundation analysis reports include detailed color photos. 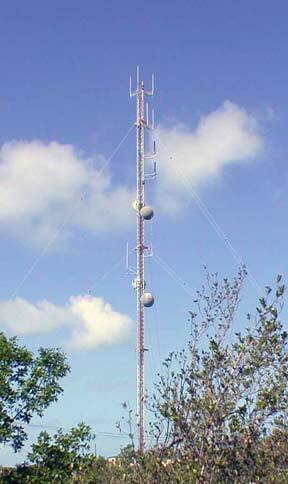 Train’s Towers, Inc. specializes in tower analysis and repair, foundation maintenance, structural analysis, installation, troubleshooting, installation and removal of antenna systems and their structures. By utilizing various testing techniques, our ability to cost-effectively manage tasks in the field has proven to be an invaluable client service. Our fleet of heavy service trucks is stocked with a large variety of system spare parts for a wide-range of repairs and maintenance needs. In addition we have two man-rated, double-drum Hydradyne Hoists for tall tower applications and requirements. We keep an extensive inventory of spare antennas, transmission lines and various other communications equipment in our warehouse. Emergency repair calls can be successfully accommodated. Antenna tower maintenance and repair crews can be dispatched at any time of the day or night, including weekends and holidays to insure our client’s needs in maintaining critical communication and public safety systems.